It’s one of the world’s most visited cities with history, culture and some of the most famous sights, but finding places to stay in London can be a challenge. It’s not that you won’t find your pick of hotels in London – there are more than 140,000 rooms in the city, it’s more a question of where to begin! Few cities could hold a candle to London when it comes to luxury. From design-conscious boutique hotels to elegant hotels that reveal the great British heritage and affordable luxury stays, there’s a room (or suite) for every luxury traveller. 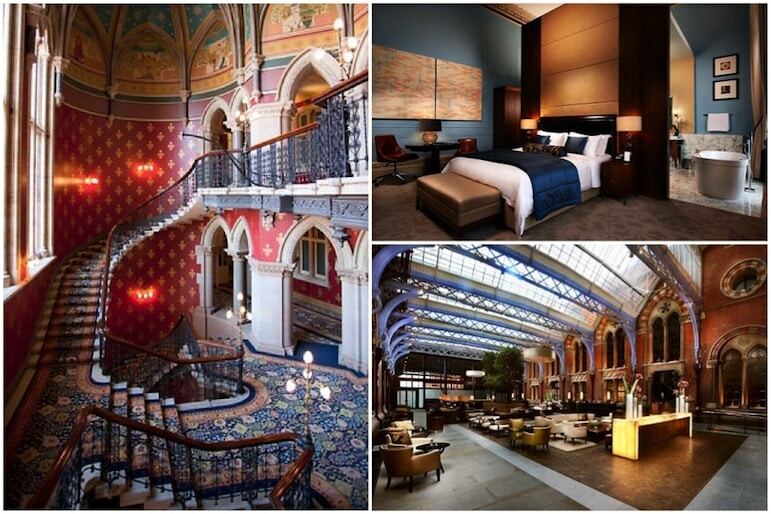 So here are our suggestions of some of the best hotels in London for a luxury break. We highlight everything from money-no-object luxury hotels through to boutique accommodation. We also offer up some affordable luxury places to stay in London. Still looking for ideas for your time in the city? See our guide to places to go in London. It covers all manner of things to do in London for luxury travellers, families, food lovers and those seeking a cultural break. 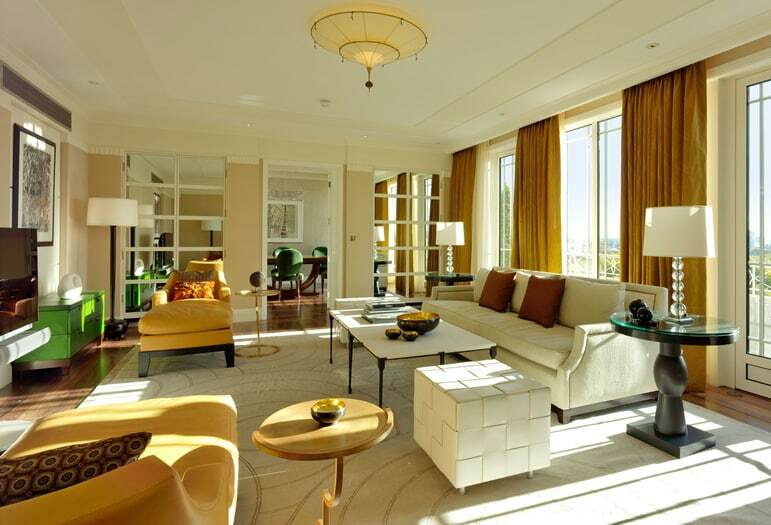 The Dorchester occupies the most prestigious acre and a half of real estate in the world. In the heart of Mayfair overlooking Hyde Park, The Dorchester’s design and character exudes 1930s glamour with a contemporary edge. Its restaurants and bars – Alain Ducasse, China Tang, The Grill and The Promenade – attract Londoners and the glitterati alike. While The Dorchester Spa was recently transformed to create the most desirable and indulgent pampering destination in London with a uniquely named Spatisserie for light lunches, tea and cake. 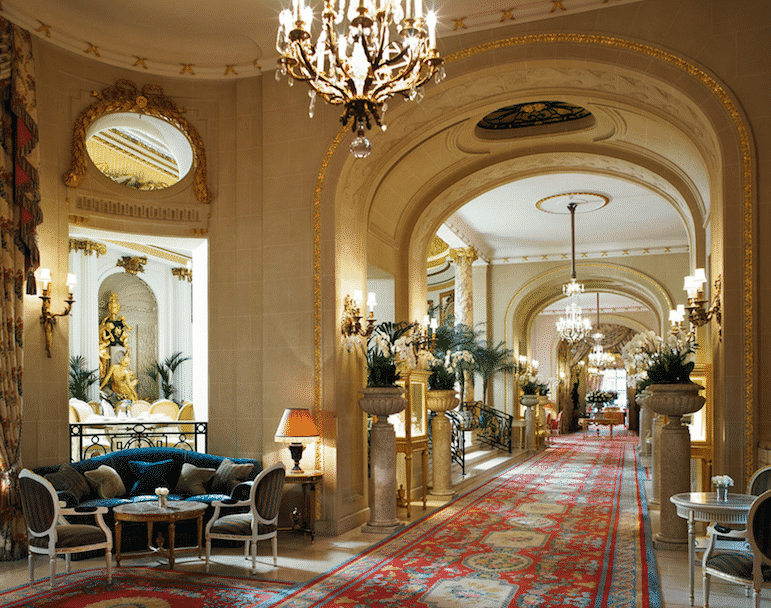 There are few hotels that hit the heady heights of luxury in London quite like The Ritz. With a great heritage in hospitality, its one of the most exclusive hotels in the world, and is located in Piccadilly in the heart of London’s West End. The Ritz claims to be the finest luxury hotel in London, and few can challenge that it for sheer grandeur and exuberant elegance. And if a stay at the hotel itself is beyond you, then you should at least try afternoon tea in the Palm Court. But book early – this grand dame is exceptionally popular. The May Fair has quickly established itself as the hottest address in town. It may be frequented by models, actors and wannabes, but The May Fair moves beyond the clichés to deliver unadulterated style. The hotel has contemporary design and combines boutique attention to detail with grand hotel service. But even with its trendy interiors and fashionable clientele, The May Fair still has plenty of history – it was opened by King George V in 1927. Designer interiors, rooms decorated with art works, a bowling alley, and theatre, Ham Yard Hotel has so many charms you’ll barely notice its exciting Soho setting. 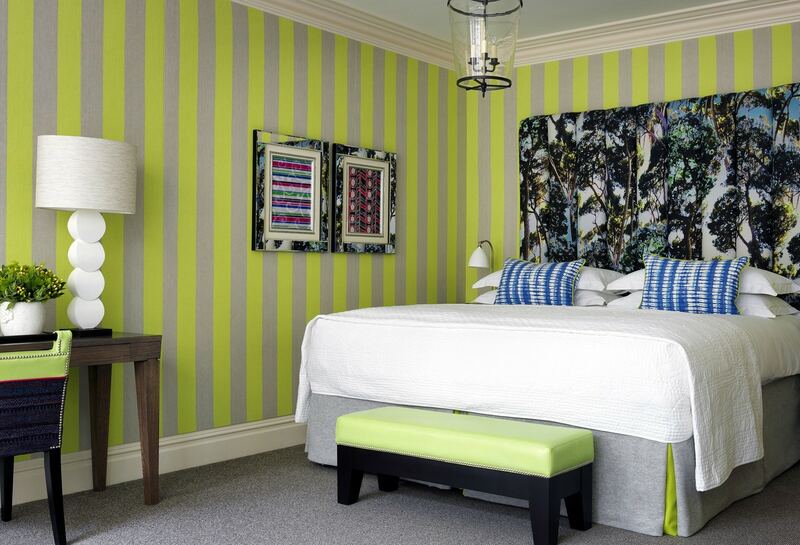 The hotel rooms have bright flashes of colour from funky headboards to dazzling cushions, yet like an eclectic food and wine pairing menu, everything goes together beautifully. Ham Yard is London cool, in a very central location – leaving no doubt why it regularly tops lists of the best hotels in London. Prices from £400. 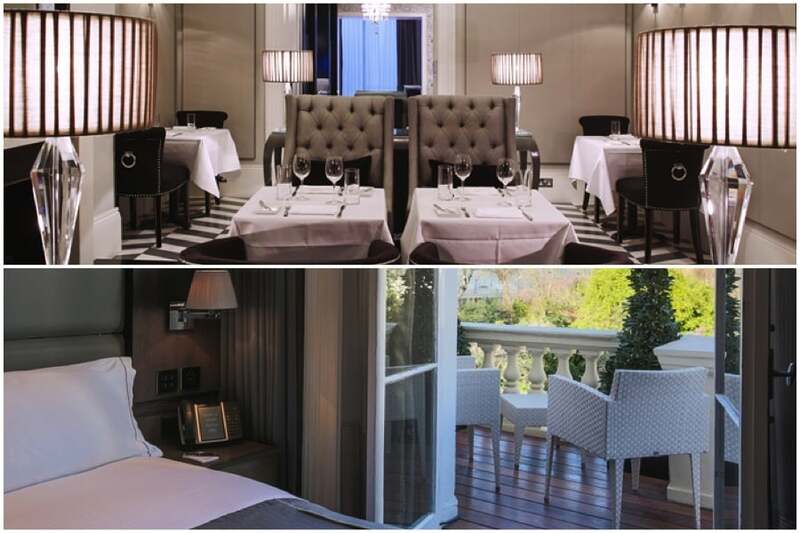 Click to book, check prices and availability at Ham Yard Hotel. Set in London’s museum district of South Kensington, The Ampersand is perfectly placed for those seeking a cultural break in London. But it’s also in a great location for people who love a little luxury shopping – the hotel is close to Knightsbridge and Sloane Street – home to some of London’s best designer boutiques and department stores such Harvey Nichols and Harrods. The hotel has a pretty tea salon with excellent cakes, a basement restaurant with cool cocktails, and big bedrooms with blissfully comfy beds. Birds, musical motifs, botanical sketches and feathery installations decorate halls and corridors. Rooms from £173. Click to book, check prices and availability at The Ampersand Hotel. Boutique and oh so very chic, we love the 41 for its hi-tech suites that include a lounge that doubles as a dining room, meeting room, or conference suite, plus your own daytime personal assistant. The decor of the three split-level junior suites is stylish while they allow plenty of room to spread out, and the glass-roofed master suite makes you feel like you’re floating high above the city. The hotel is a short walk to many London attractions such as Westminster Cathedral, Green Park and Piccadilly. The Halkin brings understated class to one of London’s chicest neighbourhoods. The hotel mixes the COMO brand’s Asian roots with Italian design. It has five floors of large rooms with beautiful furnishings including marble bathrooms, Italian-wool carpets, and burl wood panelling. Designer chic runs throughout the hotel – even the staff wear Armani, but this is no pretentious hangout. The Halkin by COMO brings style to the city, and great food too with three Michelin star, Ametsa with Arzak Instruction, by esteemed chefs Elena and Juan Mari Arzak. Rooms from £302. 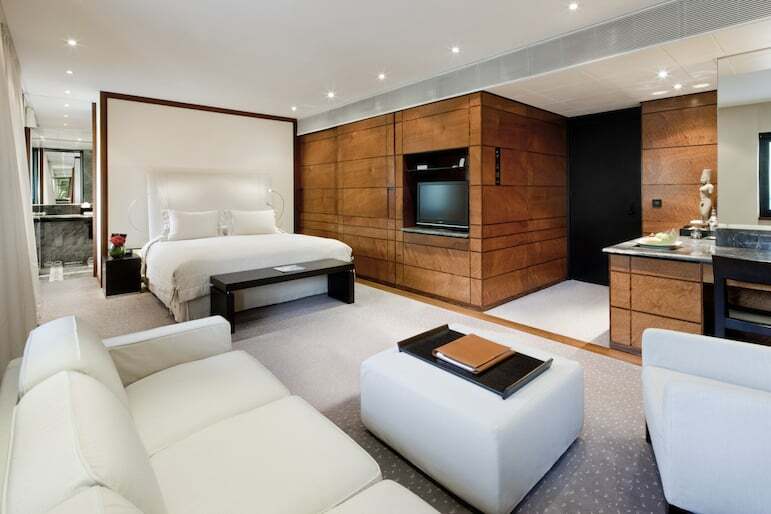 Click to book, check prices and availability at The Halkin by COMO. The rooms in this hotel will make you consider that you should have arrived in a horse and carriage. The interiors are an eclectic mix of period decor with four-poster beds, sweeping drapes and heavily patterned interiors. If you love London’s history and heritage, The Egerton House Hotel is the place for you, plus it is renowned for excellent service. Want to be treated like a princess? Follow in the footsteps of the former Kate Middleton, now Britain’s Duchess of Cambridge. The future queen of England stayed at The Goring the night before marrying Prince William. A hotel with room types named Delightful and Splendid, and with garden parties attended by uniformed brass bands, The Goring is the epitome of British style, and at more than 100-years-old it has plenty of history. This refurbished beauty brings to life the style and heritage of London’s great railway hotels. Sir George Gilbert Scott’s original Midland Grand is now a five-star London hotel like no other – combining Victorian splendour with contemporary style and service. Step inside the spectacular glazed entrance hall where Victorian high society once alighted from horse-drawn cabs, and stride down the famous grand staircase to dinner in The Gilbert Scott Bar and Restaurant where the cuisine of Marcus Wareing awaits. This art deco property is ideally situated close to a number of popular places to visit in London such as the British Museum and Camden. Plus it is connected to St Pancras Station where Eurostar trains depart for Paris. The Eccleston Square describes itself as London’s most high-tech hotel, with in-room delights such as electronically adjustable beds with massage settings. There’s also state of the art 46” full HD 3D televisions with complimentary 3D movies, surround sound, VoIP phones – for low-cost telephone calls, and more. As can be the case in London, rooms aren’t the largest, but what they lack in size they more than make up for in amenities, and many have balconies. 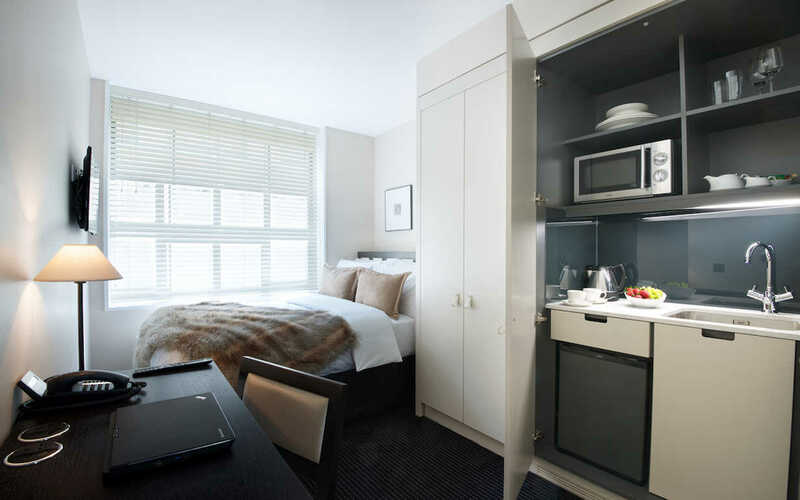 Affordable luxury hotels in London come home at The Nadler chain. 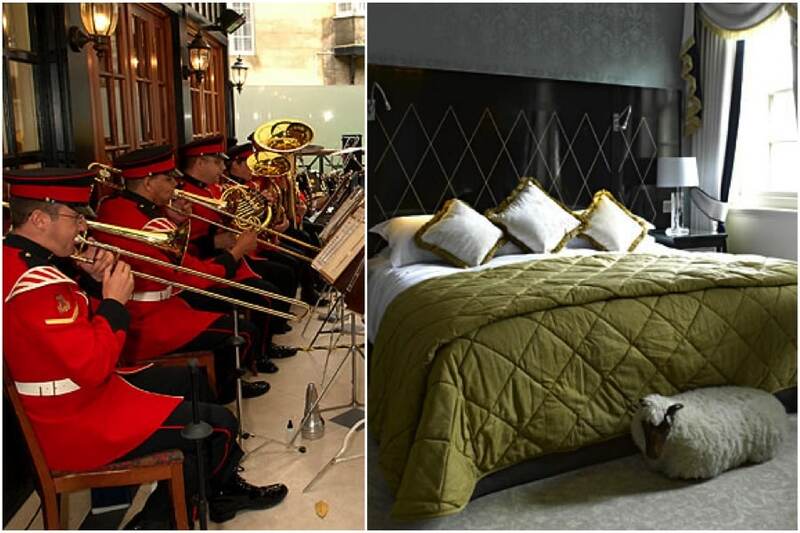 There are two Nadler hotels in London – Soho and Kensington – each offering luxury at a reasonable price point. Guest rooms have boutique styling, unique mini kitchens with a microwave, refrigerator and kettle, and free unlimited Wi-Fi as standard. They also feature British and European power sockets, and a work desk. Prices from £138. 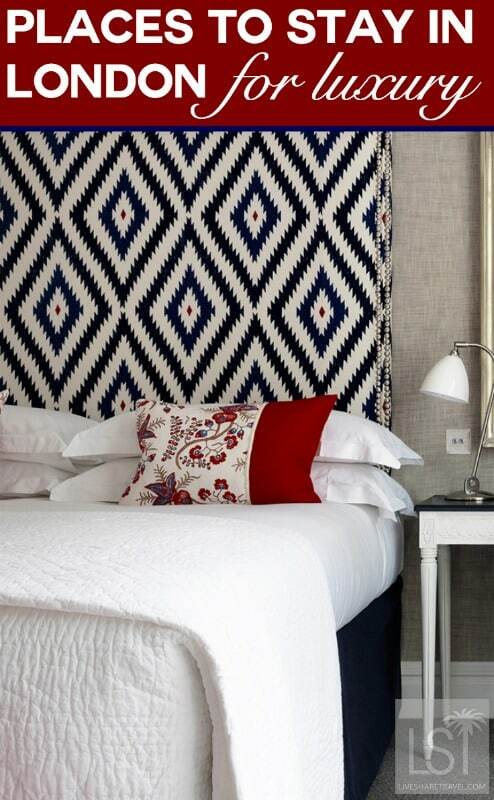 Click to book, check prices and availability at The Nadler Kensington and The Nadler Soho. K West Hotel & Spa – this Hammersmith hotel may not be the most central, but with a spa and well-equipped rooms from just £110 it’s great value. The Zetter – cutting edge design in a converted warehouse in centrally located Clerkenwell. Shoreditch Rooms at Shoreditch House this converted warehouse wonder in London’s gentrified East End is the latest addition to the Soho House brand and offers good value, cool interiors, plus a rooftop pool. Hoxton Hotel – value in an excellent location, this boutique hotel is a popular choice. Rough Luxe – art inspired shabby chic in King’s Cross – London’s latest area to undergo an exciting transformation. 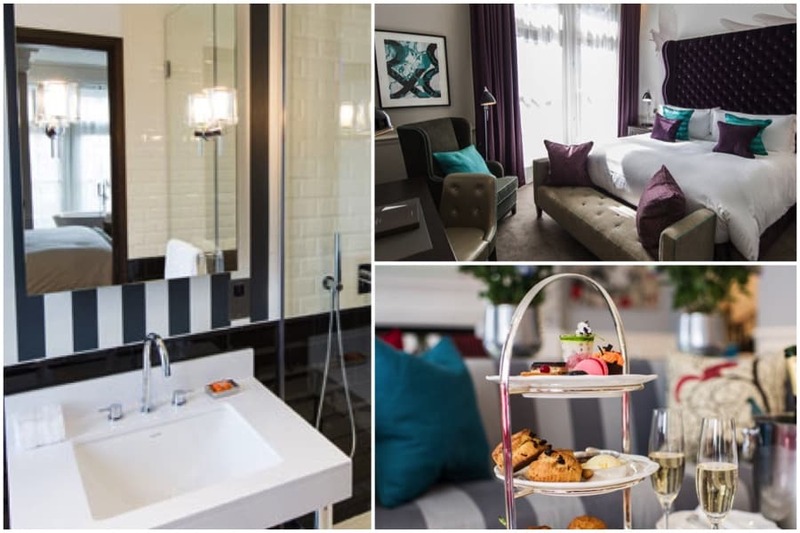 The Montcalm Marble Arch – a chic bolt-hold in the heart of the West End at competitive prices. The Rookery Hotel – beautiful Georgian interiors in Islington, one of London’s most popular neighbourhoods. The Grazing Goat – gastropub meets hotel, it brings a breath of country air to the city with Green Grove Weavers throws, brass fittings and botanical prints. 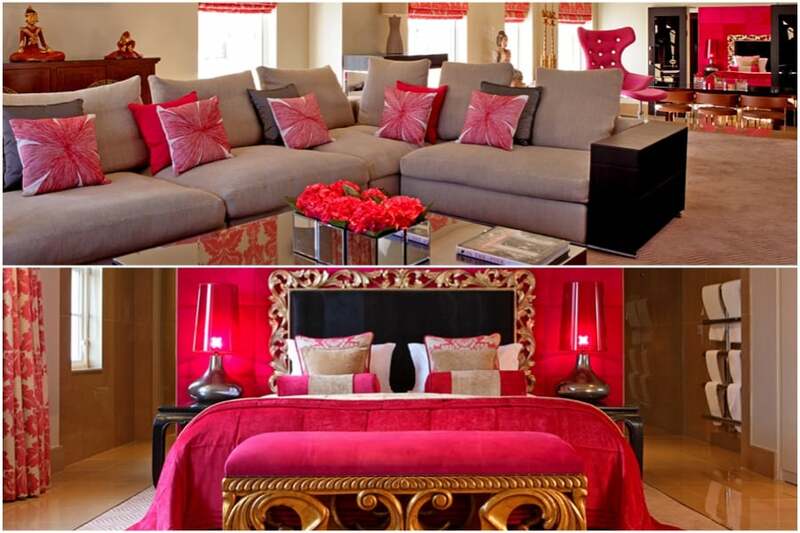 Flemings Mayfair Hotel – a stylish Mayfair boutique close to the excitement of Piccadilly. 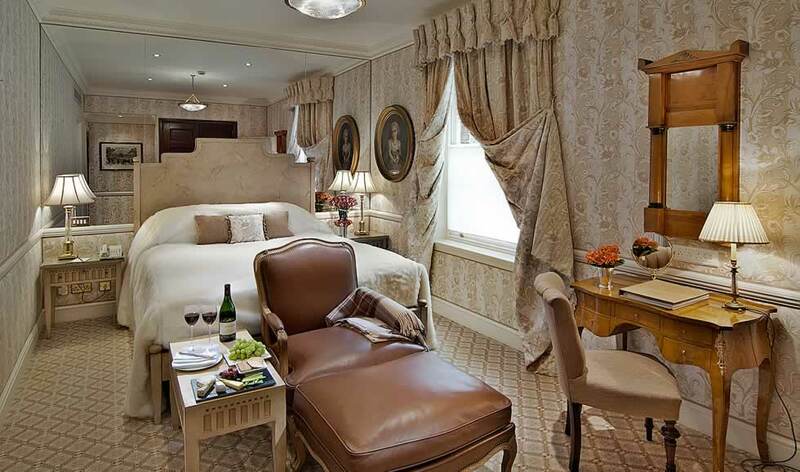 St Ermin’s Hotel – we love the rococo public spaces here and the rooms and suites are good too. 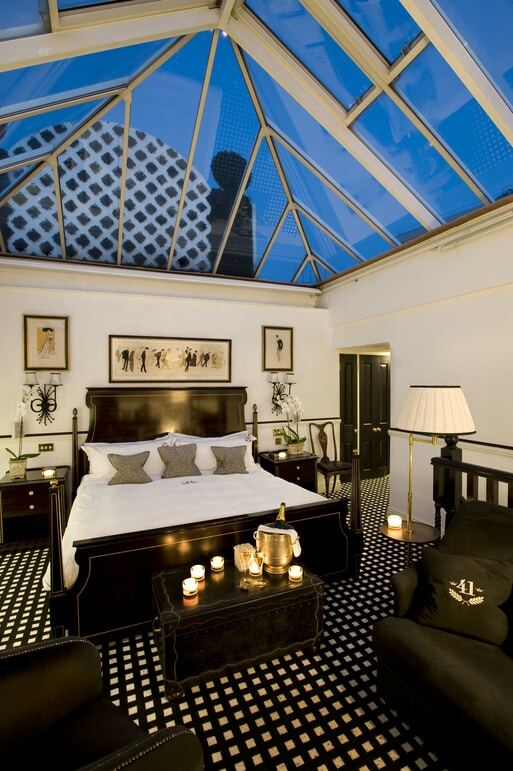 Baglioni Hotel – over the top grandeur meets Italian sophistication in South Kensington. Shangri-La Hotel at the Shard – located half way up Europe’s tallest building, you’re assured great views at this luxury chain. The Berkeley – an A-lister hangout in Knightsbridge, The Berkeley still manages an unstuffy style. Savoy Hotel – glamour is the word at this historic hotel, which has welcomed celebrities since Hollywood’s golden age. At the very least pop in for a drink at its famed American Bar. 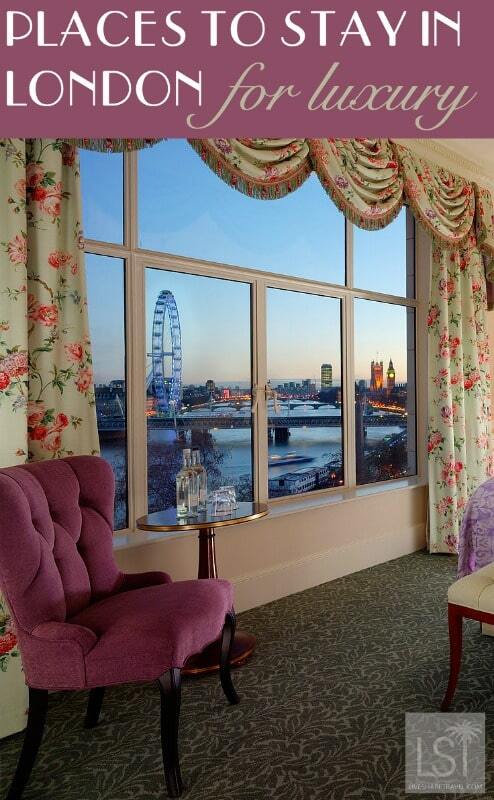 Plus suites have great views of the Thames (see the main photo). Claridge’s – one of the most elegant hotels in London, we adore its Art Deco style. The Langham – old world charm and modern touches in a beautifully restored building. Mandarin Oriental – one of the most distinguished hotels in London with views of Knightsbridge and Hyde Park. Great list!!!! But now I am missing London even more than I was before. Thanks Kirsten – glad you like it. Come back and visit us soon! Love the Egerton! So welcoming, so beautiful.